Josh also thinks Tina Turner is the Australian Prime Minister. She isn’t? Right? I got the idea for this comic when I noticed a link to my “Edward” shirt coming from the Australian SciFi Channel Blog. I realized that they had never made the ugly transition from properly named television network to Polish venereal disease like their US counterpart, SyFy, had. Further inspection revealed that all worldwide SciFi affiliates retained the original nomenclature. I guess American’s are the only ones that need to “imagine greater,” “unthink different,” or “expect disappointment” or whatever their new slogan is. Thank you so much to everyone that has purchased one. It is officially my fastest and best selling product ever. I received a sample print today and I think they look great. They will start shipping later this week. I don’t want to say too much, since not everything is finalized yet, but I was contacted by Olmos Productions last week regarding the shirt. Expecting a swift cease and desist order I was overjoyed to learn that they liked the shirt and were interested in working with me on a project or two. More details to come as things unfold. Posted in Uncategorized and tagged australia, beyond thunderdome, mad max, scifi, syfy, tv. Josh's face is becoming much more expressive recently. I'm assuming you sliced your face off off-panel and replaced it with the soggy laboratory-meat. 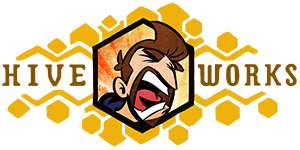 A new wallpaper in the vault: "The many faces of Josh" having a sequence of the recent comics would be killer. "The many faces of Josh"
Yeah, there could be a bunch of sliced-off Josh faces! And Eli, holding the bloody knife! That's not going too far, right? Or is it not far enough? Fantastic news, Joel! Can't wait to see the shirt in person! the sci fi international is because SYFY as a corporantion doesn’t care about the rest of the world so every new thing, every new show takes a loooooong time to reach other countries. That is probably the most accurate description of Australia that I have ever seen. As an Aussie, I am glad to see an American finally understand what Australia is all about. I am sending this straight to our Prime-Minister, to get the transcript added into our national anthem. Getting a call from (the only) Edward must have been cool. I was worried you might get a C&D but that call sounds utterly awesome instead! Tell me about it, Agent X. Yesterday, my murderbuggy got ticketed for being ‘insufficiently makeshift’. See, you can't just assume you can go down to the remains of the Aussie version of Home Depot and scavenge screws or bolts or whatever. You need to make that crap yourself, and may Master Blaster help you if your windows or windshields hold glass. I think we need a podcast with real life eli and josh singing "we don't need another hero". Oh man.. if you get to be BBFs with EJO because of this shirt – that would be so awesome! Meanwhile "codpieces made of broken glass and razor wire" nearly made me do an eggnog spit take 🙂 I've tweeted this to my favorite Australians, Hamish & Andy. As an Aussie, I can vouch for the truth of this strip. Our Prime Minister, Kevin Rudd, routinely responds to Parliamentary Question Time by just yelling "Who run Bartertown?!" and throwing a razorsteel boomerang around. The version of that (awesome) movie that I saw released here in Texas was still using proper accents. It would not have been nearly the same with Americans playing the roles. As for the comic, I loved it. Damn am I tired of trying to convince Americans that we aren't actually Mad Max territory, we merely have various Bartertowns which are apparently very successful because most of them survived the Credit Crunch. Yeah, I'm kind of glad us Australians got to keep "SciFi Channel", because most American TV companies treat us pretty bad. Then we set the Humungus on them and it goes downhill from there. It gets ugly negotiating TV in Australia. 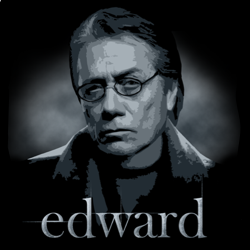 Anyway, as for the Edward t-shirt I'm not old enough to recognise who he is, but all I know is that even though my name is Jacob I can't call my fan club Team Jacob for at least twenty years until this Twilight craze blows over. Isn't it sad that people want a Werewolf Jacob instead of a real, somewhat more Australian one? I'm sick of trying to convince people we don't all talk like Paul Hogan. And we don't throw 'Shrimps on the Barbie' because we call them Prawns. I always assumed SciFi's motto was 'Think Cheaper'. SciFi Chanel? Is that like some new perfume with lasers and buzzsaws sticking out of it? Also, as an Aussie, I can confirm our status as a barren wasteland of biker gangs. *Suddenly feels very embarrassed about my long biker goatee*. That is awesome that you hear from Olmos Productions – and so great that they were so cool about this. The fact that EJO was cool enough to want to work with you instead of squash things speaks volumes to his awesomeness. "Expect Disappointment" I like that. Probably the truest description of the Sci-Fi channel to date. "Oh you like that show, do you? Cancelled. Haha! Whee! Here, have some more of our 'special' effects. Yeah, they're truly 'special.' Oh, and here's some crap my 3-year-old wrote, so we filmed it with B-List actors for you." I'm not-so-secretly hoping that the "lawless" was a Xena reference. Just sayin. The thing about Doctor Who on their money was more true than you think; William Hartnell, being the first, is on the one-pound note. Tom Baker's on the hundred, Jon Pertwee's on the fifty, Peter Davison is on the five, and David Tennant, fittingly, is Ten. And companions are on their coins; the exchange rate is ten Roses to a Donna, five Donnas to a K-9. As for Sci-Fi/Syflecch, Canada's Space channel is still superior. They actually interview SF authors in between shows. Aussies rock, but mad max doesn't. The only TV aussie i like is Chase. hehe. I love how Josh is pulling Eli's beard. Josh's expressions are priceless. Who knew anyone could get so worked up about Australia? Don’t listen to Anonymous Bosch. The real reason we don’t throw shrimp on the barbie is because they can’t fight back. There’s no flamin’ sport. What we actually do: we feed TV executives full of shrimp, and then we throw THOSE bastards on the barbie. Like Turducken, except with seafood wrapped in a fatty, slimy coating of indeterminate proteins. 1) This comic is hilarious. 2) That is so awesome about Olmos Productions. 4) What happened to the WIZARD NEEDS HUG BADLY tee shirt in the HE store? re: #4 Ive never heard of that shirt. Maybe it was another comic? The Doctor is on the money… sort of. The bills the ATM (er, cashpoint in British, I think) spit out in The Runaway Bride were made by the prop's department and bear the Doctor's likeness, along with the text "I promise to pay the bearer on demand the sum of 10 satsumas." Further, Mr. Olmos is quite cool. He came to give a talk to my university and wanted to show one of "his" films, but couldn't find a copy of it, so he told the student assistants and faculty to find one on the internet, because he knew that they were there. When the question of piracy came up, because it's an official institution and they don't want to get involved, he said, "it's my movie and I give you permission." Everyone then proceeded to watch a pirated version of his work, complete with somewhat off audio.